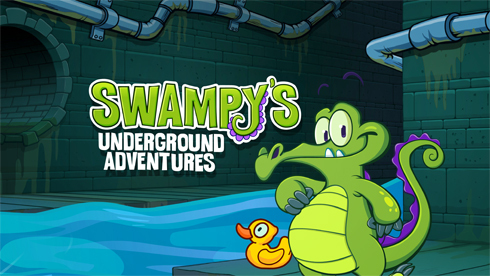 In 2012 Disney Interactive contracted Animax Entertainment to create twelve shorts starring the Swampy, Cranky, Allie, Karl, Pushy and Shovey, the gators of the popular Where’s My Water? mobile app. I took a lot of pride directing these, constantly setting the bar high for our animators to rival television quality animation. The efforts paid off. Disney Channel decided to fit the two minute shorts into their regular programming day, Disney Stores nationwide held a “Swampy Day” previewing episodes in-store, and even on the jumbo screen of the flagship Times Square store.